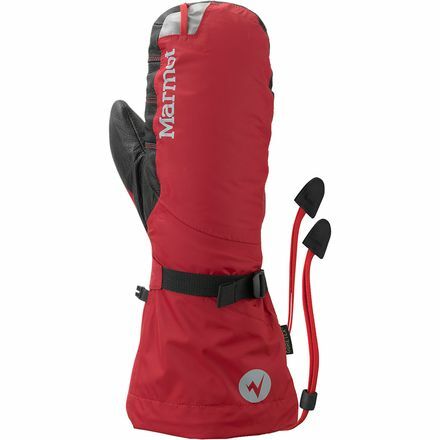 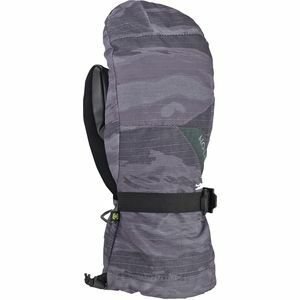 The Marmot 8000 Meter Mitten. 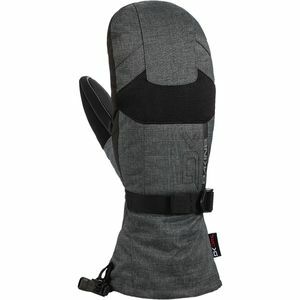 Hopefully the name gives you some indication of how far you can push into nasty weather while wearing this mountaineering-style mitt. 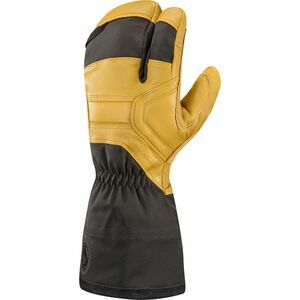 Multiple varieties of Gore-Tex fabric and membrane technology protect your hand from wet conditions, wind, and sweat, while high-loft, 700-fill goose down insulation fends off thermometer-crushing cold. 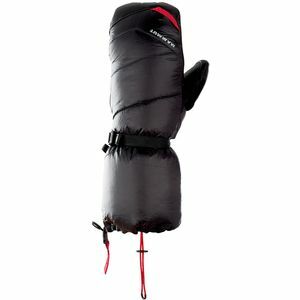 Slide your hand inside this gauntlet-style mitt, wrap the leather-reinforced palm around your ice tool, and charge up a tricky alpine route with confidence that your digits are safe and sound.